Serafood is one of Turkey’s leading food manufacturers with a bright history; and its brand building journey which started in 1985 in Germany continues non-stop as it has been named as a Turkish brand accepted for Turquality program. With its two plants located in Aydın and Manisa, and a Logistics Base located in Germany, Serafood exports high quality and healthy Mediterranean tastes to 45 countries in the world. We look for natural and the healthiest products to eat. For considering a product as natural, it should be grown under specific suitable and natural conditions. Natural fruits and vegetables become distinct with their smell, taste and quality. Since 1985, Sera has always aimed to provide you with natural products by preserving their natural characteristics, and as a result of this, has become a demanded brand popular among consumers. 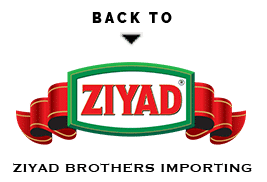 Please contact Ziyad Brothers to receive info, updates on Sera food product, for the latest information and news please sign up our email list now.